For BM 24, I picked the theme of 3 state curries, and honestly this one, thought inclining towards punjabi style cooking is representative of modern day urban style cooking, based on traditional approach. So if you want to associate a state, make it the capital. 8) Serve with chopped coriander as garnish. The fresh produce that lines the markets is precisely the reason why i love this season. 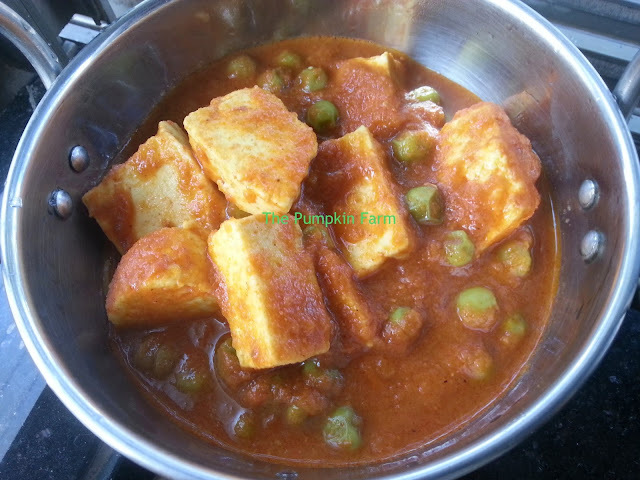 Fresh peas are always my weakness,love to relish this bowl of droolworthy matar paneer with some rotis. Hmm love the fresh paneer and peas. A perfect and easy one to go with rotis. This is one of my favorites too.. Love to have it anytime. oh that is my fav!!!! so perfect with rotis! !